Cambridge came out of the gates this season absolutely blazing on offense. We knew from their bantam championship season that they had lots of great offensive options, but this year their were plenty more. 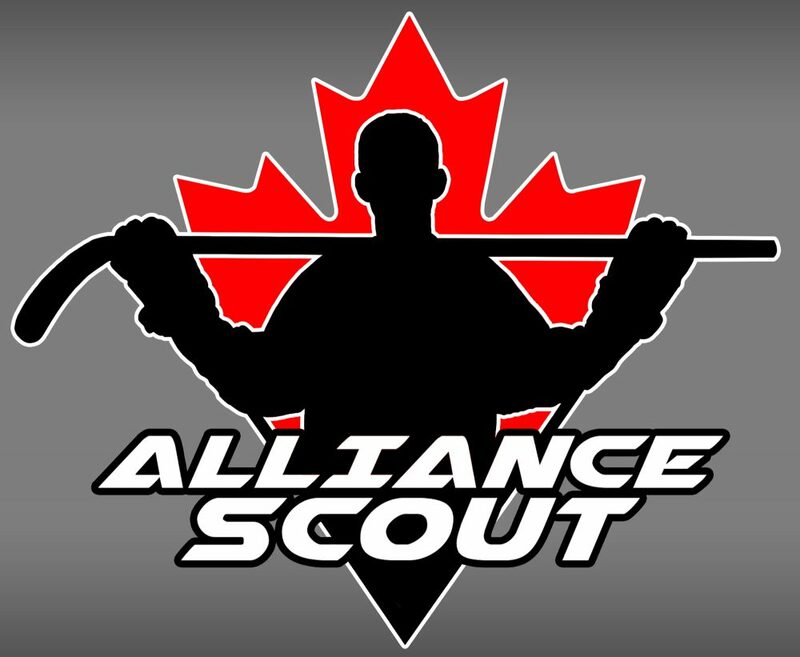 Alliance Scout’s #1 prospect Ben McFarlane led the way in goals while Joseph Serpa solidified himself as arguably the best facilitator in the league. Add in double digit goal totals for Tyler Healey, Cooper Walker, Eli Palfreyman and Mason Mantzavrakos and you’ve got offensive weapons on every single line. While the Cyclones weren’t flashy, they quietly racked up close to three goals per game this season. What Chatham has up front are a lot of guys who have goal scoring abilities but aren’t entirely flashy going about it. Darby Lemieux led the way with 15 goals while bigger forwards Adrian Stubberfield and Tate Bowden chipped in significantly as well. Mix in 17 combined goals from defenseman Craig Spence and Spencer Lecot. Although Chatham was able to score at a good rate this season, it’s hard for me to imagine them being able to outpace the Hawks. Cambridge goes three lines deep of offensive options and that can wear on a team. The Cyclones will get their goals, but will they be able to run and gun with Cambridge? That I’m not quite sure about. The defense for the Hawks has been steady for the whole year as we thought heading into the season. When it was released that Peyton Adams-Matthews would be joining Cambridge for this season, many thought he would be anchor for the team on D. While Adams-Matthews has been good, it has been Graham Sutcliffe who has impressed the most on defense this year while Derek Pys and Dante Pellegrino have also been relied upon in key situations. Chatham’s defense has been improving over the latter part of the season. The most effective throughout the season have probably been the biggest as Craig Spence and Spencer Lecot have a great mix of size and speed that enables them to chip in offensively without sacrificing on the defensive end. There have been times this season when the Cyclones defense have struggled in clearing their own end and that is going to be a major point against Cambridge. If they allow the Hawks continuous pressure, the outcomes may not be desirable. The Cambridge defense has had success this season in containing the Cyclones forwards and I don’t see much changing heading into this series. Also as said just before, the Cyclones won’t be able to get relaxed in their own end or else they could be playing on their heels for extended periods of time. Cambridge has gotten some solid goaltending this year. Vance Meyer came in and immediately secured himself as the number one with Nicholas Clay having great success in his role. Some may question how effective Meyer and Clay would be if without the strong team in front of them, but I’ve seen tournament games against strong GTHL and OMHA teams where the goalies were peppered and came up with big stops. Brett Brochu was an ironman for the Cyclones this year. Brochu set the standard playing in 28 of Chatham’s 33 regular season games this year. Add in tournament games and Brochu has seen a significant amount of action. Meanwhile, Rhett DeVries managed only seven regular season appearances. There is no doubt that Brochu is the guy for Chatham and I would expect to see him play most if not all of the games in this series. Brochu has enough talent that he can steal a series with his play. My only thought is that with the amount of action he has seen this year, will fatigue be a factor? The Hawks have also seen success against Brochu this year so maybe a curveball with DeVries in goal could be a plan for Chatham. With that season that they have had, there is no way you can’t pick Cambridge to win this series. Their offense is deep, their defense is strong and their goaltending is up to the task. Chatham has been playing their best hockey of the year as of late, but even their best may not be enough to take down the vaunted Hawks. Another thing is penalty trouble could cost either team. Both teams had an incredibly heated game at the Showcase in Woodstock and tempers will need to be tamed or else special teams could end up being the deciding factor. Cambridge Hawks over Chatham-Kent Cyclones in three games. This entry was posted in Alliance Hockey, alliance playdowns, Alliance Scout, Cambridge Hawks, Chatham-Kent Cyclones, ohl cup and tagged adrian stubberfield, Alliance Hockey, alliance playdowns, ben mcfarlane, brett brochu, cambridge hawks, Chatham-Kent Cyclones, cooper walker, Craig Spence, dante pellegrino, darby lemieux, derek pys, eli palfreyman, graham sutcliffe, joseph serpa, mason mantzavrakos, nicholas clay, ohl cup, peyton adams-matthews, Rhett DeVries, spencer lecot, Tate Bowden, tyler healey, vance meyer by Dave Coulson. Bookmark the permalink.